We drive our cars every single day. From our daily commute to weekly errands and everything in between, we’re constantly on the move. The rise of the automobile as the most popular mode of transportation has given us a much larger range of travel… and we definitely make use of it! So, how much do you know about your vehicle? You know that it has wheels that spin, a horn that honks, and a steering wheel that, well, steers. That’s the extent of knowledge for a surprising amount of people. Since you’re here we’re going to assume you’re trying to change that! Expanding your mind when it comes to the mechanics of such a fundamental part of your life is important. Having a solid understanding of the parts that give your car it’s “go” is never a bad thing! We’ve covered how engines work, different types of engines, how to tell if your brake pads are going, and more. Our passion is bringing you a better appreciation for your car, truck, or SUV. In order to do this, we go the extra mile in making sure we cover an assortment of topics that are essential for the aspiring automotive master. Even if you aren’t trying to top the charts in the world of cars you should still continue reading! Absolutely anybody who owns a car will benefit from the information to follow. Today we’re going to talk about how automatic transmissions work! Oh, come now. Don’t start groaning! This is actually a fascinating topic that we think you’ll really enjoy. Like many parts in the same area, they are a crucial piece of your car’s puzzle. There are quite a few things that can go wrong with this part, and knowing how they work is a huge factor in knowing what’s gone bad. We’ll go over what an A/T is, how it works, and some common problems that pop up. The automatic transmission can be called by several different names. 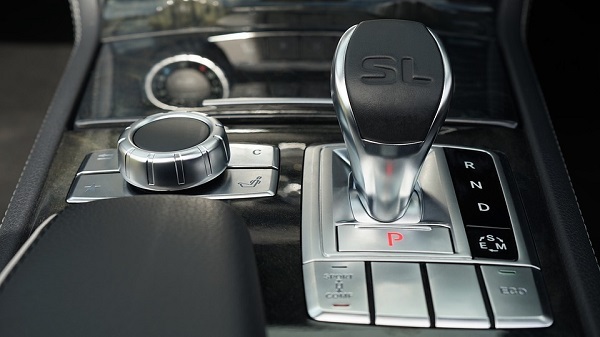 Auto gear shift, self-shifting transmission, and even the abbreviation A/T are all synonyms for the same system. 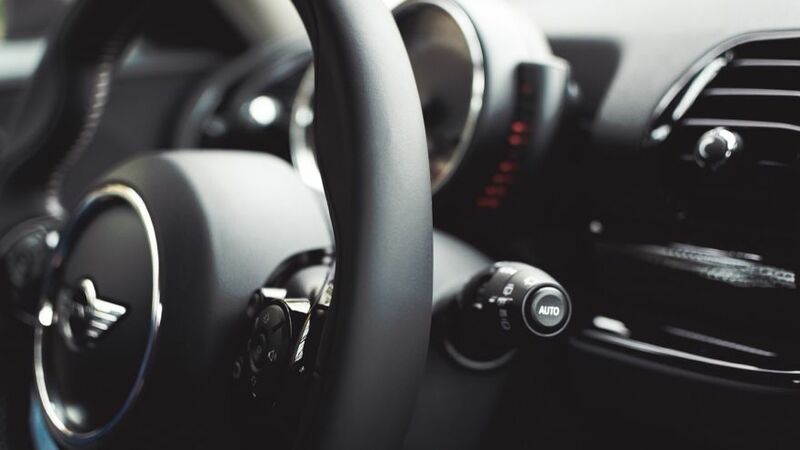 Essentially, A/T is the part of your car that allows you to shift gears without having to deal with a clutch. This magnificent piece of machinery gives us a much simpler driving experience than a manual A/T. Both of them do have their pros and cons, however. The biggest difference between the two is that in an automatic car there is no clutch pedal. And, naturally, in an automatic car once you put it in “Drive” the car takes care of everything else. The A/T’s job is to keep the engine spinning neither too slowly, nor too quickly. Keeping the engine at a reasonable, predetermined rate of speed ensures it’s able to do its job without either stopping altogether or burning out. The A/T is also responsible for the stopping ability of your car, alongside some other parts. This magical machine is truly central to your vehicle’s very ability to work at all. A/Ts on a whole are extremely complex. The sheer amount of components that come together to create an A/T are enough to make your head spin… alongside your wheels! For simplicity’s sake, and to save you some time, we aren’t going to go too deeply into the subject. We’re going to make sure you have a thorough understanding of the basics, and we’ll get into the more complex topics in articles to come! Make sure to stay tuned, but until then here’s an introductory explanation on the inner workings of an A/T. Front Wheel Drive: In cars which have front wheel drive the A/T is combined with a part called the transaxle. This can also be called the “final drive”, however. Their position is different than the rear wheel in that instead of being placed on the rear of the engine, they are instead on the side. From here it is a simple process to send the power to the front wheels on either side of the engine. Rear Wheel Drive: These cars have their A/T in a different place than front wheel drive vehicles. It is positioned on the back of the engine. Power is sent to the wheels by a drive shaft, which connects to the rear end of the A/T. How Does An A/T Work? As mentioned above, this is an extremely complex topic. It is hard to boil it all down, but we’re going to do our best to make it easily understandable for our readers. In order to do this, we’re going to go over each part, and it’s job, as well as how it is connected to the entire A/T as a whole. Familiarize yourself with these terms first so that you’ll understand the technical jargon down the line. 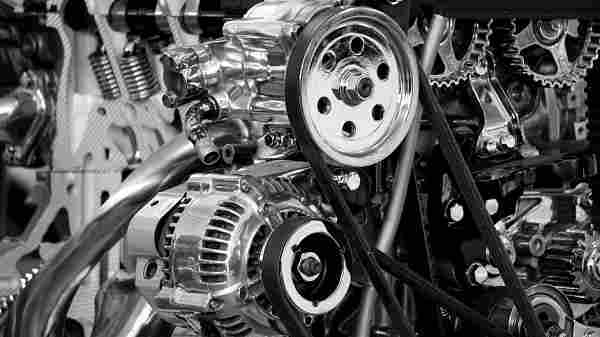 Torque Converter: The torque converter is the part of this system which decides when the engine’s power is connected, or disconnected, from the driven load. It is essentially the equivalent of a clutch that always slips! This torque converter is the reason that the gear shifting always goes off without a hitch. The torque converter is also the reason your engine can be running without your car moving into motion. It stops the power from the transmission from going to the engine, so your car’s drivetrain won’t be getting any juice. Even though the engine is running the rest of your car isn’t getting any power at all! 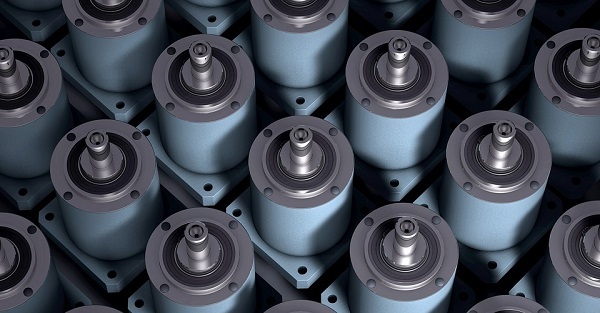 Planetary Gear Sets: While this may seem like a complicated idea, it’s actually quite simple! A planetary gear set in its most simplistic form is made up of three different sets of gears with varying degrees of freedom. We’ve all seen examples of this in our everyday life! Of course, it is not so simple in an A/T. The planetary gear set gets its name from how the parts are set up. There is an interior gear around which the other two (or more) are placed. This center gear is known as the “Sun gear”, and the gears placed around it are the planetary gears. You’ll find planetary gears in a multitude of machines! From screwdrivers to bulldozers, planetary gears seem to pop up everywhere. We’re going to briefly go over how, specifically, the A/T system sends power out. As mentioned the A/T is the part which sends signals to the drive train about how fast to go, and when. It does this by using the planetary gear set. This set of gears is ultimately one of the most important parts of the A/T since it is the final step in getting power to the drive train. Planetary gear sets are made of three parts, generally speaking. This includes the ring gear, the sun gear, the planet gears, and the planet gear carrier. That’s a helluva lot of moving parts! This is why we’re breaking the planetary gears down a little more so you can better understand them when we talk about the A/T system as a whole. So, this multitude of gear types come together to determine the gear ratio that is sent out to the drive train. Doing so essentially gets rid of the need for a clutch. This is because the planetary gear set makes up for the entire purpose of said clutch. They create the gear ratios needed in order for you to maintain the operation of your vehicle. Whether going forward or backing up, you can thank the planetary gear sets for your ability to do so! So, now that we’ve talked about planetary gear sets, this is probably going to be an easy one for you. Essentially, the A/T switches gears through the planetary gears. Because they are able to figure out the gear ratio that is needed, you don’t have to. That means no more shifting, and no need for a clutch. The entire purpose of the clutch is to make sure that your engine, and drivetrain, are able to keep up with your speed. First, off, let’s explore why your car even has different gears. This is because the engine needs to know what the least amount of power it needs to do the job at hand. This ensures the engine won’t burn out, but will still be able to conduct the required task with a minimal power output. 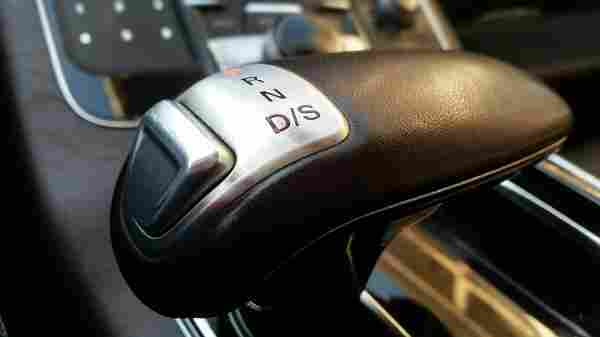 In a manual car, you have to shift the gears yourself, depending on the speed you’re at. But in an A/T system that is taken care of for you! The A/T has so many small, intricate parts inside of it. This makes it a difficult part to understand! However, we’re going to try and break it down into layman’s terms. Bear with us through the technical jargon! As you explore the automotive world you’ll become more and more comfortable with these terms. It really isn’t as scary as it seems! When the engine sends out power it goes to the torque converter’s pump. This is the first step in the process. Transmission fluid now comes into play, which you may remember from previous articles of ours. This is what provides lubrication for all of those moving parts! It also acts as a coolant to help alleviate the heat that builds up in the A/T system. This fluid carries the power from the torque converter’s pump to the turbine. Once the turbine has received the power it will send the transmission fluid back to the pump. This is done with the stator, which is a part with an intense blade. It’s able to reverse the direction of transmission fluid. Hence its place in this process. The stator has another job, however. 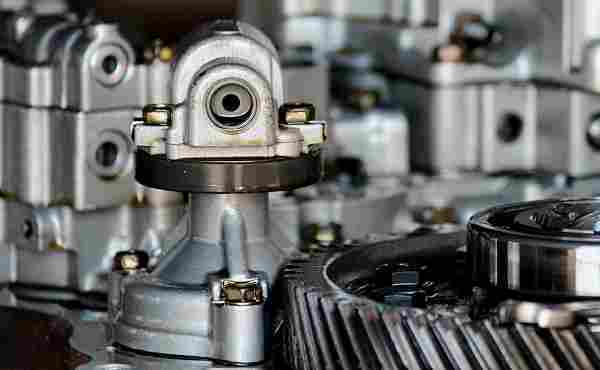 It’s able to take the power that is sent in the transmission fluid tenfold and allows the torque converter’s pump to “pump out” even more power for the turbine. The torque converter will then contain a strong power rotation, known as a vortex. The prior mentioned turbine connects to the transmission through another part. This part is called the central shaft, and it connects directly to the planetary gears which are located in the A/T. The planetary gears are a personal favorite of ours! They’re so delicate, well made, and truly reminiscent of a planetary system. It just goes to show that you can definitely combine both mechanical pursuits with artistic ones! You always have to appreciate good pieces of machinery when you can. Now, the planetary gear will start spinning because of the spinning central shaft. This is an entire system, however, as the name suggests. It includes the ring gear, the sun gear, and the planetary carrier. You can learn more about planetary gear systems in the terminology we have explained above. You can also learn more in some of our other articles! It helps to understand them to really comprehend the A/Ts entire process. The planetary set will only send power to one of the aforementioned gears. Depending on which one receives power, and which two are to remain stationary, is what decides the gear ratio. The drivetrain will receive a certain amount of power depending on the arrangement of that planetary gear set. Once that gear set sends power out to the drive train the A/T system has done its job. Your car will now have the information it needs in order to move along, or stop altogether. It is because of the A/T that you can be sure that your car will listen to your instruction the first time, every time. It is, therefore, crucial for you to service your A/T system whenever it has any problems! Putting this off can be highly dangerous to both you and others. The automatic transmission is one of the most important, central parts in your vehicle. It is crucial that the transmission works! Even the greenest of drivers know that anytime their car has issues with the A/T they’re in for a helluva time. It is so well known because of the fact that it’s arguably as important as the engine. Perhaps some people haven’t heard of calipers or bleeder valves, but everybody knows that a car has an A/T. Now that you’re more familiarized with this topic you should be able to spot problems before they grow. Our hope is that we have provided you with the information you need to make educated decisions on automotive repair. We have plenty of DIY guides if you want to try and tackle a task yourself! Be sure to read more about how your car works at the very least. There is knowledge in power, and there is no better knowledge than car knowledge!